For the collection of short stories, essays, biography, and poetry, see Marginalia (collection). For the international convention on documents, see Apostille convention. This piece of Wahrheit und Dichtung by Melchior Kirchhofer has pencil notes that might have been written by Josef Eiselein. 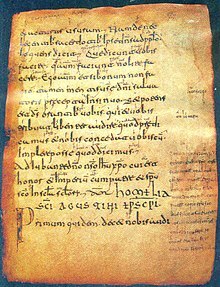 The Glosas Emilianenses are glosses added to this Latin codex that are considered the oldest surviving phrases written in the Castilian language. Biblical manuscripts have liturgical notes at the margin, for liturgical use. Numbers of texts' divisions are given at the margin (κεφάλαια, Ammonian Sections, Eusebian Canons). There are some scholia, corrections and other notes usually made later by hand in the margin. Marginalia may also be of relevance because many ancient or medieval writers of these marginalia may have had access to other relevant texts that, although they may have been widely copied at the time, have since then been lost due to wars, prosecution or censorship. As such, they might give clues to an earlier, more widely known context of the extant form of the underlying text than is currently appreciated. For this reason, scholars of ancient texts usually try to find as many still existing manuscripts of the texts they are researching, because the notes scribbled in the margin might contain additional clues to the interpretation of these texts. 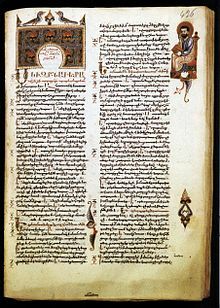 The scholia on classical manuscripts are the earliest known form of marginalia. Fermat's last theorem is the most famous mathematical marginal note. The first recorded use of the word marginalia is in 1819 in Blackwood's Magazine. From 1845 to 1849 Edgar Allan Poe titled some of his reflections and fragmentary material "Marginalia." Five volumes of Samuel T. Coleridge's marginalia have been published. Some famous marginalia were serious works, or drafts thereof, written in margins due to scarcity of paper. Voltaire composed in book margins while in prison, and Sir Walter Raleigh wrote a personal statement in margins just before his execution. Beginning in the 1990s, attempts have been made to design and market e-book devices permitting a limited form of marginalia. "Marginalia" by Edgar Allan Poe appeared in The Democratic Review, July, 1846, published by Thomas Prentice Kettell. Marginalia can add to or detract from the value of an association copy of a book, depending on the author of the marginalia and on the book. Catherine C. Marshall, doing research on the future of user interface design, has studied the phenomenon of user annotation of texts. She discovered that in several university departments, students would scour the piles of textbooks at used book dealers for consistently annotated copies. The students had a good appreciation for their predecessors' distillation of knowledge. In recent years, the marginalia left behind by university students as they engage with library textbooks has also been a topic of interest to sociologists looking to understand the lived experience of being a university student. American poet Billy Collins has explored the phenomenon of annotation within his poem titled 'Marginalia'. ^ Singh, Simon (1997). Fermat's Enigma: The Epic Quest to Solve the World's Greatest Mathematical Problem. Fourth Estate Ltd. ISBN 0-385-49362-2. ^ "Edgar Allan Poe Society of Baltimore - Works - Misc - Marginalia". Retrieved 2009-11-22. ^ Poe, Edgar Allan. "Marginalia", The Democratic Review, July, 1846, Vol. XIX, No. 97, Thomas Prentice Kettell, New York, page, 30. ^ "Seeing the picture - Crowdsourcing annotations for books (and eBooks)". Blog. University of Iowa Libraries. Retrieved 2011-07-03. ^ Cathy Marshall. "From Personal to Shared Annotations" (PDF). Texas A&M University. Retrieved 2011-07-03. ^ "Social Annotations in Digital Library Collections". D-Lib Magazine. 1998-03-24. Retrieved 2011-07-03. ^ Attenborough, F., Stokoe, E. (2012) Student life; student identity; student experience: ethnomethodological methods for pedagogical matters, Psychology, Learning & Teaching, 11(1): 6-21. ^ "Marginalia by Billy Collins". Poetry Foundation. 5 December 2017. ^ Jackson, H. J. "John Adams's Marginalia, Then and Now" (PDF). ^ "A Book I Value: Selected Marginalia — Samuel Taylor Coleridge". Princeton University. 2011-06-29. Retrieved 2011-07-03. ^ "Melville Marginalia Online". MelvillesMarginalia.org. Retrieved 2011-07-03. ^ Park Bucker (2003-12-11). "Princess Daisy: A Description of Sylvia Plath's Copy of The Great Gatsby". University of South Carolina. Archived from the original on 2011-06-12. Retrieved 2011-07-03. ^ The Mark Twain House and Museum (2010-01-08). "Mark Twain's Marginalia". blogspot.com. Retrieved 2011-07-03. ^ "Harry Ransom Center". University of Texas. Retrieved 2011-07-03.